Food waste throughout the U.S. and the world has been a major problem over the years. Recently, it has received more attention globally and now in the U.S., with a call for serious action by the Obama administration which recently brought food waste “to the table” as a part of its efforts to combat climate change. The goal the Obama White House set was to reduce food waste in the United States by 50% in the next 15 years, but what does this reduction mean? How much are we really wasting? According to the UNEP, 30-40% of the food supply in the United States is wasted; per person, this equals more than 20 pounds per month. Americans are not the only ones wasting food. Approximately “one-third of all food produced worldwide… gets lost or wasted in food production and consumption systems.” While all of this food is being wasted, there are millions of people throughout the world who are still undernourished or hungry. In response, many initiatives have been created to address this issue, including the creation of World Food Day, to raise awareness about food waste and promote ethical practices. World Food Day was held this year on Friday, October 16. Brighter Green and our partners in Jiangxi province, China, had a significant presence on World Food Day by initiating a project to raise awareness about food waste worldwide. 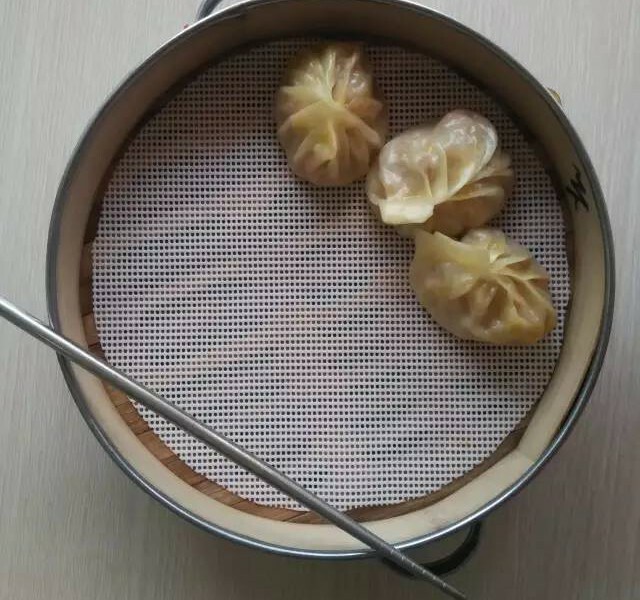 In China, What’s for Dinner? 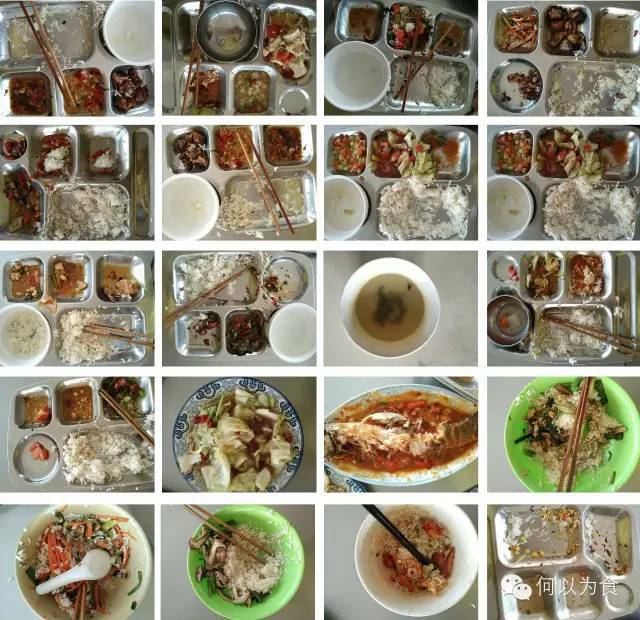 director, Jian Yi, and colleague, Miao Jie, organized the Left Over Food Photo Exhibition that illustrated the colorful, albeit plentiful amount of left-overs that sit on our table, or plates, after every meal. 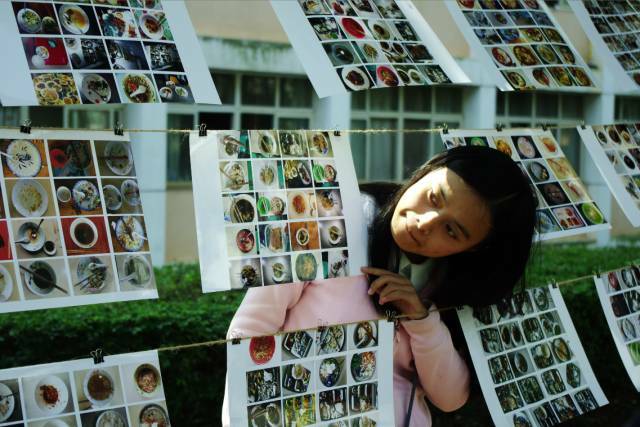 This exhibition was displayed on campus at Jinggangshan University in Jiangxi province, and presented a series of more than 700 photographs collected in just 3 days. The process of collecting these photographs demonstrates just how prevalent food waste really is within many societies, whether in China, the U.S. or elsewhere. On the other side of the world, Brighter Green’s Executive Director, Mia MacDonald, attended Expo Milano 2015 in Italy on World Food Day. She had a strong reaction to the lack of attention to the sustainability and equity aspects of food and agricultural production at the Expo. Learn more about this from one of her Facebook posts.